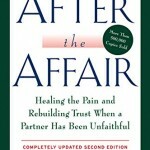 An affair is survivable. Millions of couples opt to stay together for many reasons. More often than not they still love each other still love and still possess a longing for the marriage to endure and this is what brings couples to marriage and family counseling. Therapy treatment, in conjunction with the couple’s persistant efforts, can help a marriage after an affair not only survive the affair but also thrive and grow into the marriage for which both have always longed.